Step into the lush, covered courtyard adorned with beautiful foliage for added privacy. Serenity continues as a bubbling fountain completes entry into this 3 bed, 2 bath home. The original wood door still serves as entryway to the house, where you are greeted by sweeping views of the private front yard. One-of-a-kind wood detailing continues through each room, including a wood-burning fireplace featuring Batchelder tile, along with quarter sawn oak flooring and gorgeous sandblasted wood beams. The charm continues into the spacious dining room, providing entry to both the gorgeous kitchen and sunny breakfast nook. The kitchen exudes character with unique features including authentic Spanish tile, Caesarstone countertops, custom cabinetry and new Bosch appliances. The gorgeous detailing across the kitchen and dining room make for the perfect space to impress company. Three generous bedrooms await, complete with a shared hall bath and one attached 3/4 bath. 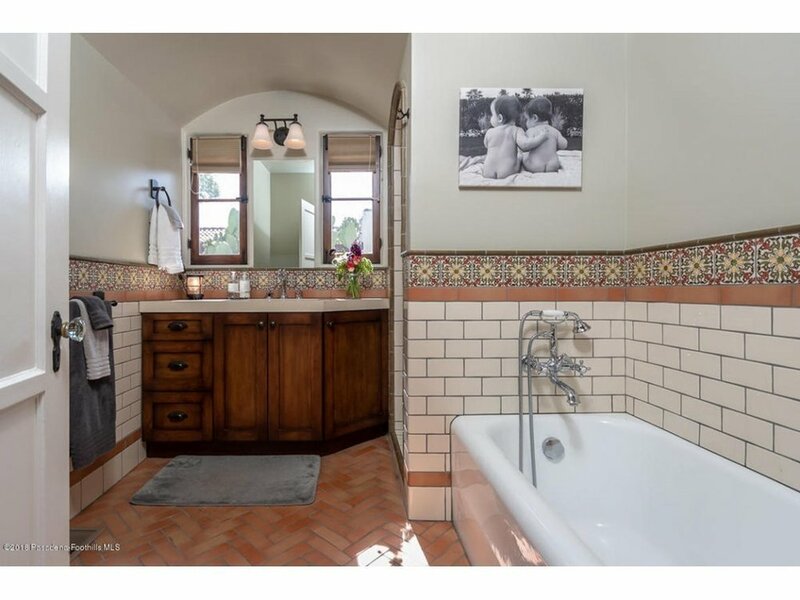 Both bathrooms feature unique hand-painted Spanish tile and luxurious lighting to complete the spaces. Let the light in! All three bedrooms feature abundant natural light, spacious walk-in closets, and beautiful ceiling fans to create an airy and relaxing oasis. Outdoor entertainment awaits you! Enjoy the private terrace surrounded by fruit trees, lush landscaping, and a sweeping garden. Situated on a beautiful corner lot in the gorgeous Glendale, with no detail overlooked both inside and out. This stunning home at 650 Burchett Street has it all! Listing courtesy of Carrie Grochow.